Comarch has become a sponsor of OSC from Lille, France, Ligue 1 club, currently in the second position. The IT company will support the football players until the end of the 2019-2020 season. Sponsoring of the team from Lille is to develop broader cooperation that would contribute to better recognition of the Comarch brand in France. 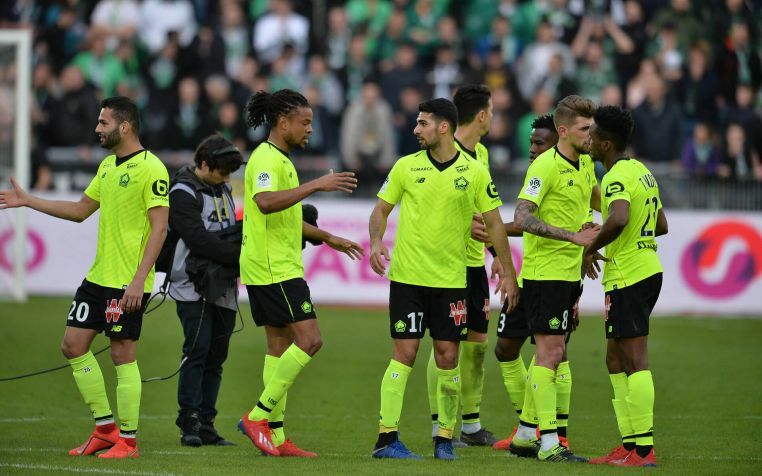 Starting from the LOSC -Dijon FCO match (03.03.19), throughout the season, Comarch's logo will be placed on the shirts of Lille players, as well as on the LED displays on the Pierre Mauroy arena in Lille and on the official marks at the seat of LOSC. Comarch has been operating in France since 2006, its regional offices are located in Lezennes in northern France and in Grenoble, and recently also in Lyon. The company’s business is focused primarily on retail business, industry, and IT solutions for health care. On the French market, the Company has been cooperating with such companies as: Auchan, Galeries Lafayette, PMU, Eram, Leroy Merlin, or La Redoute. “I have the pleasure of announcing the commencement of cooperation between Comarch and LOSC. Comarch as Polish company represents international dimension; it is also present in local markets offering IT solutions for leading companies in the north of France. Besides being a hi-tech leader, Janusz Filipiak is also a great football fan. Cooperation between LOSC and Comarch results from combining the two areas,” said Marc Ingla, CEO of LOSC. “We've decided to enter into a sponsorship contract with the football club LOSC from Lille to improve the recognition of our brand which fits into a larger project of developing the awareness of the Comarch brand in the French market among our target group. We're operationally active primarily in the north of France and in the Paris region, hence the idea of partnership with a brand recognised regionally. Cooperation with such a prestigious and renowned sports club that is getting ready to play in European cups next season, has been another natural stage of development. Additionally, it's important to stress that sports value are particularly cherished by Comarch which is the owner of the Cracovia football club,” declares Arkadiusz Iłgowski, General Director of Comarch France. As an official sponsor of the LOSC football club, Comarch confirms the intent to reinforce its position on the French market.